The UK’s most popular country music festival returns for its fifth year in March 2017 and will be bigger and better than ever. It can now be announced that C2C will open on Friday March 10 with a very special afternoon performance by the English twin sister duo Ward Thomas, whose career has gone from performing on a “Pop-Up” stage at the second C2C to topping the UK album charts in September 2016 with their most recent album Cartwheels. 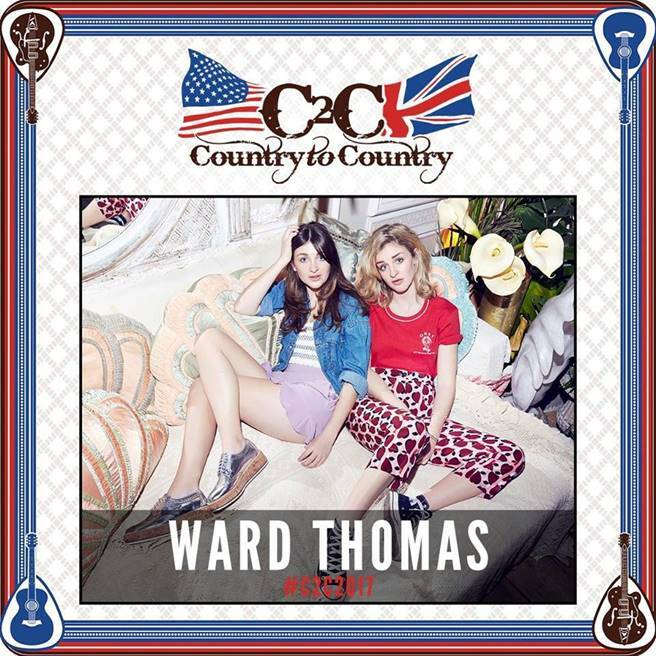 Ward Thomas became the first UK country act ever to top the official British album charts and their C2C kick-off performance will be at The BBC Radio 2 Country Stage at Indigo at The O2. The Hampshire twins were barely out of their teens when they become crossover country music stars. Access is for C2C ticket and wrist band holders, subject to capacity.